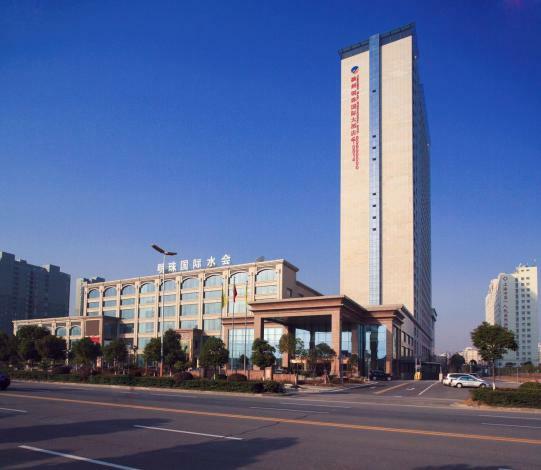 The Yangzhou Hengshan Pearl International Hotel (Yangzhou Hengshan Mingzhu Guoji Dajiudian) is located in Yangzhou's eastern district of Jiangdu and about a 30-minute drive from Yangzhou-Taizhou Airport. Guests have a choice between Chinese or Western cuisine when dining on-site. Business travelers can make use of the business center as well as on-site conference facilities to conduct meetings. When you get some free time, spend it relaxing in the sauna, exercising in the state-of-the-art gym, playing a game of billiards or simply enjoy the indoor swimming pool. This 5-star Yangzhou hotel also offers free parking and Wi-Fi access in public areas. -120 km to Nanjing Lukou International Airport.